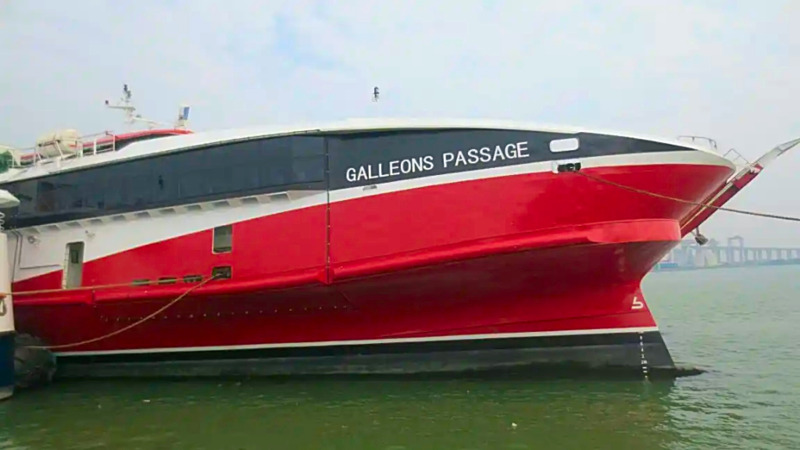 Claims that the Galleons Passage is unsafe for public use are merely a fabrication. 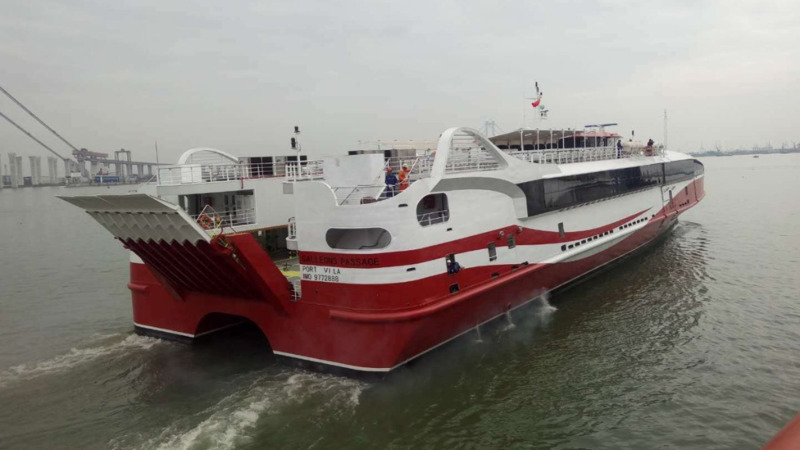 Just a day before the new ferry’s arrival came allegations from the Opposition that the vessel was not fit for use, based on the findings of an independent marine surveyor which revealed some 38 defects in the vessel. At a media conference Sunday evening, Chairman of the National Infrastructure Development Company (NIDCO) Herbert George dismissed the claims, labelling them outright lies. “That is just scare tactics to poison the minds of the users of the facility,” he said. Addressing claims that the vessel broke down and a tug and barge had to be dispatched to refuel it, George assured that the vessel is on course to arrive in Trinidad at 2pm. The vessel will undergo a series of checks on its arrival, and upgrades which were expected to be completed in Cuba will be assessed to be carried out in Trinidad. These upgrades will be done at a cost to the seller of the vessel and not to Government. Media will be given a tour of the vessel when it arrives. Also present at the conference was Works and Transport Minister Rohan Sinanan, who said the timing of the allegations made was suspicious. “It is a little bit strange that a report that existed some 6 weeks ago, the day before an election, is being touted. He launched a scathing attack on former transport minister Devant Maharaj, calling him a liar. Meanwhile, Sinanan gave an update on Government’s intention to purchase two new ferries, the first of which is expected to arrive in 2020. 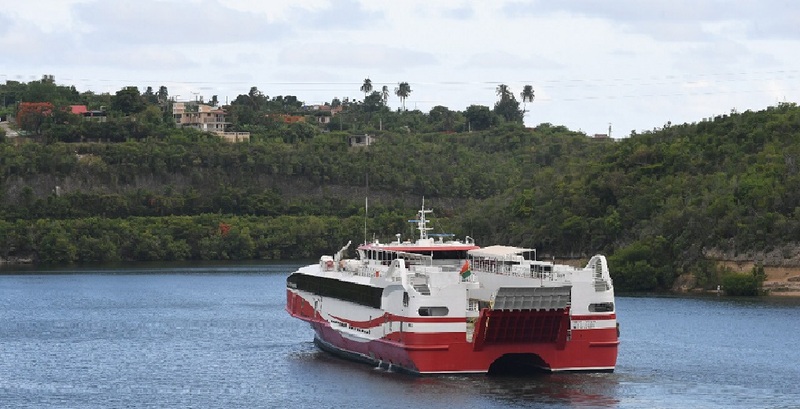 “The information is about to be presented to the Cabinet for a decision as to the best way to go forward, because the Prime Minister has announced that the intention of the Government is to purchase new ferries. The first one, if things go well, should be here by 2020. He noted that the age of the existing vessels will be taken into consideration where it concerns the possibility of carrying out repairs. 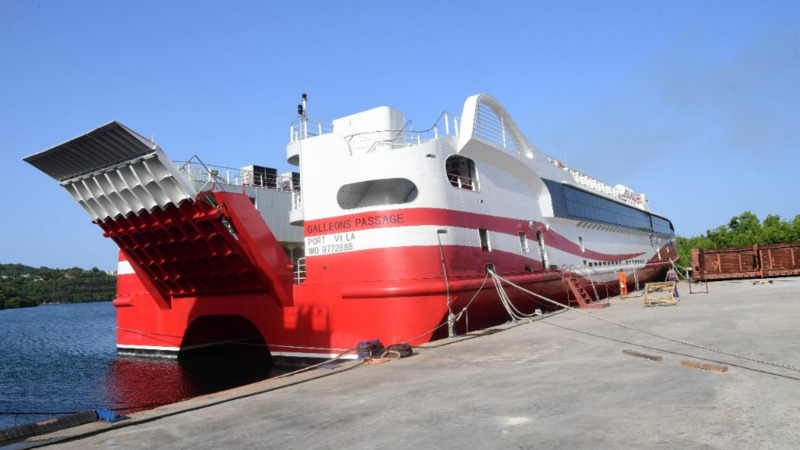 The new ferries will be built to specifications to meet the purpose and requirements of Trinidad and Tobago. Regarding the T&T Express, which remains dry docked, George said several considerations had to first be made. “The first thing we have to do is to assess what has to be done, cost what has to be done.